One of the biggest challenges modern parents face is instilling respect in their children. This isn’t an issue in which you can just tell your child, “Respect is important, so be respectful.” No, the development of respect in a child goes much deeper than words. Respect essentially means placing value in someone or something and responding in kind. When you value your friends, for example, you treat them kindly. When you value your local community, you avoid littering. Although respect is a concept that can be difficult to understand, it’s important to help your child learn to grasp what it means to be respectful. Because of this, it’s important that parents understand what it takes to help a child develop respect for other people, for themselves and for the world around them. When your child was born, you were probably so excited that you read baby books, scoured baby naming websites and debated for hours over what color to paint your nursery. 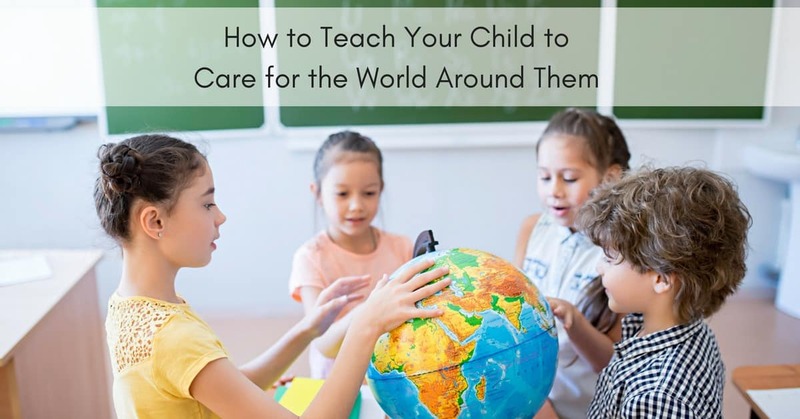 Once your little one was born, you may have been so busy changing diapers and trying to get some sleep, you didn’t think until much later about the importance of teaching your child values such as respect. For some parents, respect isn’t an issue they consider until their child is well into their teenage years or going through a rebellious phase. Unfortunately, at this point, it’s almost too late to squash disrespect. Before your child begins going through hard times, make sure you start thinking about ways you can help them understand the value and the meaning of respect. Children learn most frequently through imitation. Your kids will learn to demonstrate and mimic your behavior early in life. If you treat the people around you with respect, your kids will pick up on that. If, however, you talk down to other people or ignore their opinions and insight, your children will choose those behaviors to imitate. While no parent is perfect, make sure you spend some time considering what your behavior says about you. Are you argumentative? Are you rude? Are you pushy and mean? Do you go out of your way to help others? Do you clean up after yourself? Do you avoid littering? There are many ways you can demonstrate respect in everyday life, so don’t be afraid to ask yourself the hard questions about how you’re doing. Explain to your kids what respect is. Even from a young age, your children can explore the idea. This can be something as simple as talking about the importance of sharing toys or not taking something from another child. It could be more complex, like explaining why your child should be polite or kind to other people. When you open up the discussion on respect, your kids will feel more comfortable exploring this topic with you. Most importantly, they’ll be able to ask you questions about what it truly means to demonstrate respect to others. Make sure you give your child plenty of examples of what respect looks like. Many people grow up thinking they understand respect, yet they know little about the concept. Do your kids know what respect looks like? If they don’t, try to discuss real examples with them. You don’t have to make anything up. Just point out examples of respect and disrespect as you go about your day. Before you know it, they’ll understand exactly what you’re talking about. While parenting is tough, it’s important that you face the hard issues head-on. Respect is one of those tough topics. Every parent wants what’s best for their child, so make sure you focus on developing respect early on. This will help prepare your child not only for survival in school but for flourishing in the workplace as well.